A Galway family is raffling a restored vintage Morris Minor to raise funds for Galway RNLI in memory of a young couple who lost their lives in a ferry disaster 13 years ago. Margaret Kilgarriff and Paul Tonge died in the ferry disaster off the coast of Sumatra in Indonesia on January 19, 1996. Margaret and Paul had taken a year sabbatical to travel and see the world in 1994. On the return leg of their adventure they decided to visit Indonesia when the tragic accident occurred. 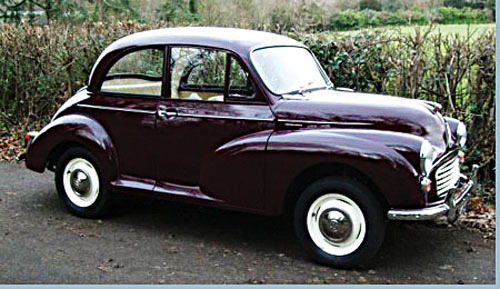 Paul had started to renovate an old Morris Minor and had left the car in the garage for repair. Paul loved his Morris Minor and both he and Margaret went to every possible vintage rally around the country meeting other car enthusiasts. Paul's family have kindly donated his Morris Minor to the Galway Lifeboat in the hope that by raising money through this raffle more lives will be saved at sea. Proceeds from the raffle will go the lifeboat station at Galway which was established some 13 years ago because of the increasing number of search and rescue incidents in the city area. To win this fantastically restored Morris Minor visit www.turbo.ie and buy a ticket for only €25. The last day for purchase of tickets is February 7.